Hali Strandlund is one of the founding Directors of one of Canada’s largest MICs which now lends from BC to Ontario. She is also one of three founding members of WIMI - Women in the Mortgage Industry, an online forum showcasing mentorship, leadership, mortgage industry education and discussions. WIMI helps connects brokers with lenders and improve their professional skills through coaching and webinars. Strandlund was nominated for a CMA this year as Mortgage Industry Service Provider of the Year, and was last year’s Canadian Mortgage Hall of Fame inductee at the CAAMP Mortgage Forum. In 2013 Hali was named one of Canada’s Top 100 Most Powerful Women - Trailblazer and Trendsetter by WXN (Women’s Executive Network). 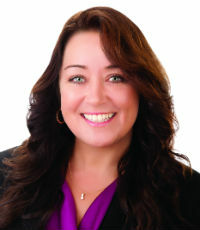 She served as President of the MBABC for two terms and is a former Chair of CAAMP. Passionate about the industry, Strandlund is a perennial volunteer for professional associations.